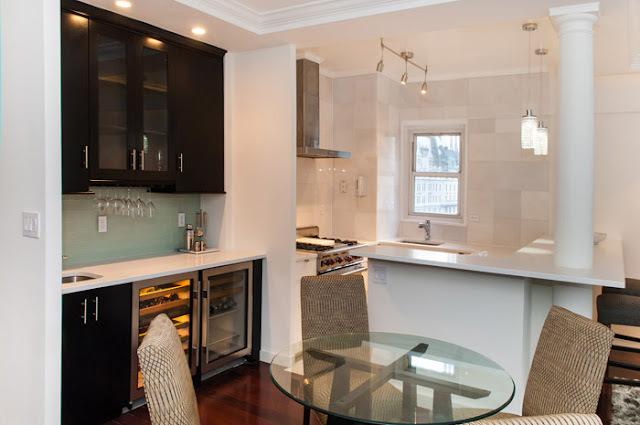 Cvm Contractors has more than 10 years of experience remodeling kitchens in New York City, making them a piece or central space of the modern house. A kitchen room with a great design, without a doubt is a source of inspiration and motivation to prepare meals, conversation among friends, highlight gourmet skills or simply start to get interested in the world of gastronomy. Are you thinking about remodeling your kitchen? You have reached the right place. We offer the best strategy for the renovation of your kitchen. Our remodeling approach is based on three fundamental steps, making remodeling the kitchen much easier and more enjoyable for you. If you request our services, we guarantee a complete follow-up from beginning to end of our projects. In other words, an advisor of our company will work with you during working hours. Measurement: our first step is to go home and take action and make sure we are right. Disposition: Then, we will create the design of your kitchen, including where each cabinet and appliance will be (how wide, how deep, how high, etc.). Fully adapted to your requirements and needs. Selection of finishes: we will help you to select all the finishes so that your cabinets, countertops, appliances, floors, lighting, splash guard and accessories combine perfectly. Budget planning: we will help you develop a budget together and then design according to the budget range. As we are also the supplier and contractor, our designers always know how much everything costs, which makes it easy to stay on target.